FHL help the most vulnerable Christians living in the West Bank, Gaza, Israel and Jordan. In 1948, at the creation of Israel, 80% of people living in Jesus' home town of Nazareth were Christian. That number is now only 20%. The population of Christians in the Holy land is now only 2% in the Land of Jesus' birth. The National organization of the Friends of the Holy Land (based in Kenilworth) was established in 2009 to support the Christians in the Holy Land. As such, we work in close cooperation with the Christian churches in the Middle East and in the UK. Our work is entirely non-political and is carried out with the backing and blessing of both Catholic and Anglican Bishops in England and Wales. Our own Bloxwich group was set up in 2012. To raise awareness of the plight of ordinary people caught up in the troubles. To raise funds to provide practical ways that support the Christian communities in the Holy Land including housing, education, and care for the young and elderly. To encourage people to go on pilgrimage. Please consider joining our Parish FHL Group to help with raising awareness, praying and fundraising. Barbara Kowalski - 01922 -711137. ​We meet about once a month on a Saturday in the Parish Centre. The parishioners of St. Peter’s, through different activities were able to raise a total of £722.32 for FHL. 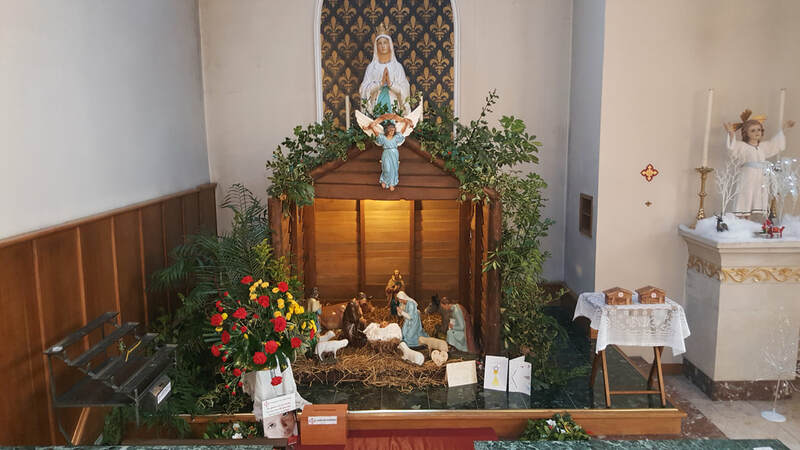 £50 was raised by carol singing at Sainsbury’s, £100 was donated by St. Thomas More School, Willenhall, £253.86 was raised through candles, £318.46 was raised through the Crib donations and the Epiphany Raffle.